This evening will not be the first time that Tammy Duckworth, former assistant secretary of the Department of Veterans Affairs under President Obama, addresses a Democratic National Convention. 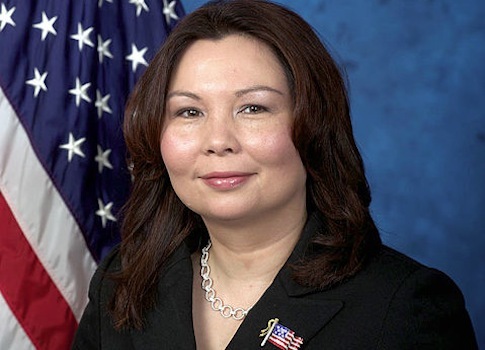 After the 2006 election, Illinois' then-governor Rod Blagojevich, a Democrat who is now in prison, appointed Duckworth to the state Department of Veterans Affairs. She remained active in politics, which led to an appearance at the 2008 Democratic National Convention in Denver, Colorado. President Obama appointed her to the assistant secretary position early in his term. She resigned her post in the summer of 2011 to run for Congress. Duckworth, who owns a private plane, has faced questions over her personal finances throughout her career. She improperly used state money to attend a 2008 campaign event for congressional candidate Dan Seals, violating Illinois state law by driving there in a state-owned van. She apologized and repaid the state for the inappropriate use of the vehicle. The Democrat claimed homestead exemptions in both DeKalb County and Cook County, where she now lives. The newspaper cites county and federal records. Illinois law allows residents to claim the exemption on their primary residence to reduce the amount of property taxes owed. Duckworth saved close to $2,000 by double dipping on her exemptions, according to the report. The congressional candidate’s response: She had unknowingly claimed the two exemptions. In May of this year Duckworth filed two Certificates of Error with the Cook County Assessor’s office to lower her property bill, according to public records. A staff member at the assessor’s office told the Free Beacon that Duckworth should expect a refund check for several hundred dollars for 2009 and 2010. A Public Policy Polling (PPP) survey commissioned by the left-wing CREDO Super PAC in August found Congressman Walsh trailing Duckworth by nine points. This entry was posted in Politics and tagged 2012 Election, Congress, DNC, Iraq, Joe Walsh, Obama Campaign, Rod Blagojevich, Tammy Duckworth, Veterans Affairs. Bookmark the permalink.